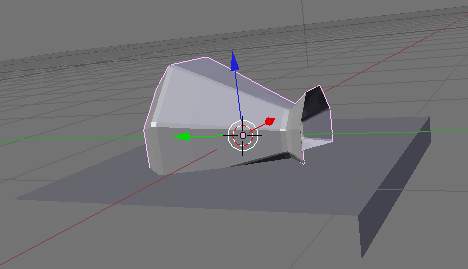 I'm rather a noob in Blender, thats why I want to make this tutorial that explain some of the basics to get started..
First I want to make my sculpty used for this tutorial, I start with sculptypaint. 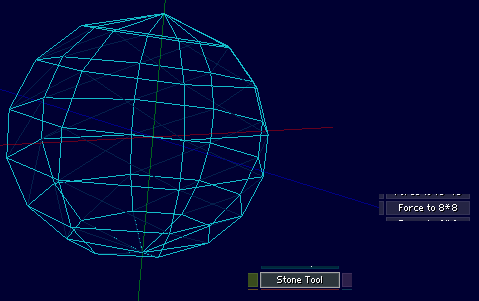 Next in the PointTool, I start to translate and scale these different point-blocks. 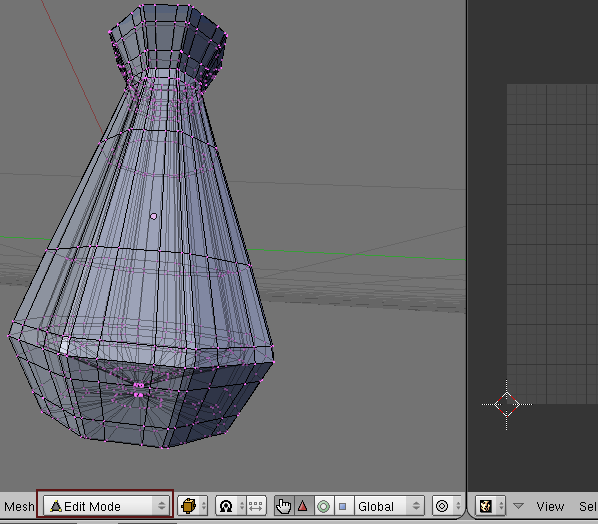 Working with a low-resolution model, enables me to modify and create a basic shape much faster. 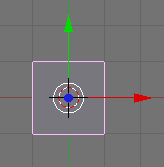 In the Morph-Tool, I lock my poles and start smoothing the rest of the model now. 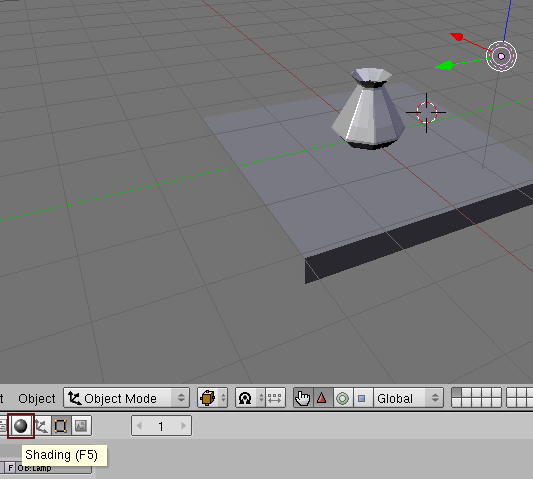 Next in the StoneTool, I force my model to 33xSmooth, I get now a sculpty that almost is the same as SecondLife. 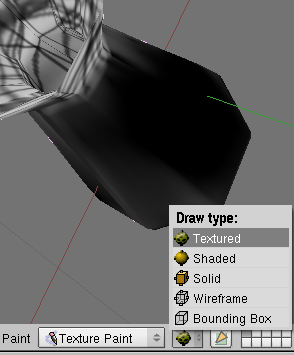 And save my sculpty as a 64x64 png. Python is needed for a lot of the plugins and scripts in blender so its best to install Python first on your computer. 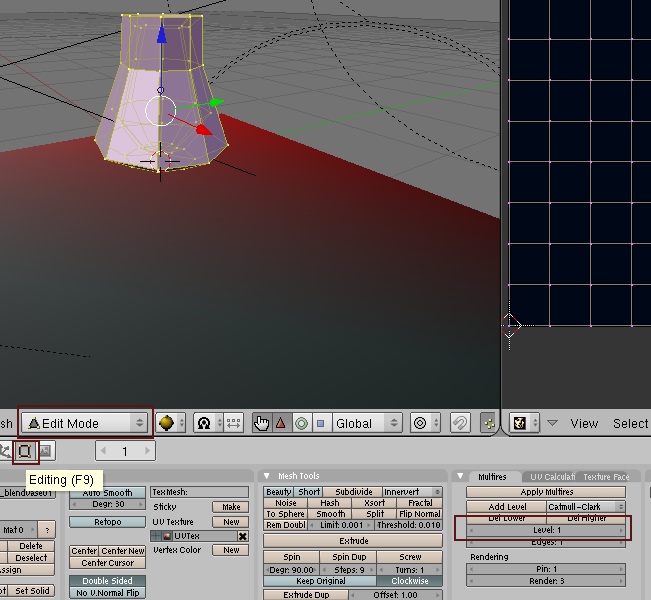 When I start blender I get the message python is installed! Good. 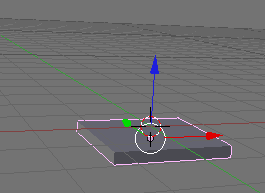 Well Blender can be really confusing and frustrating when you start, since you can get lost real easy, with all these options and buttons. 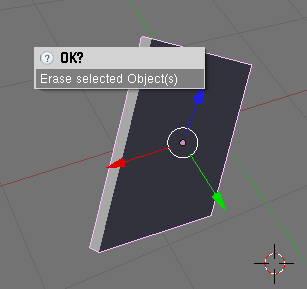 Somehow its really easy to change all kinds of functions really fast, like pressing a shortcut-key by accident, or select/deselect a certain object by accident. Second all those tools are strangly connected in 'wierd'?! 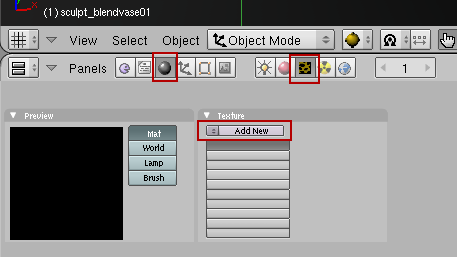 ways, like if I go to from the object-tool to the texture-paint tool, I get different results then going from the object-tool, to the edit-tool, then the texture-paint tool. Real scary first, but dont fear. Let start with some basics first.. 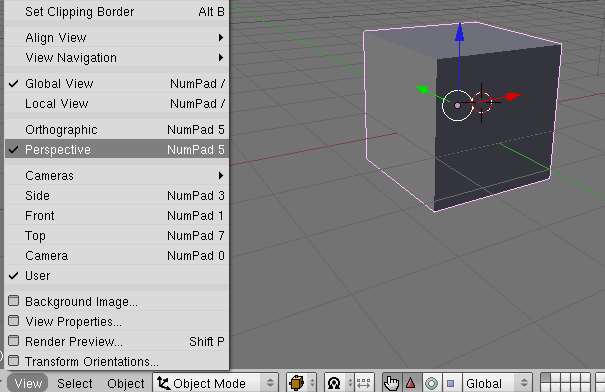 When you start with blender, or do File->'New' you start with a default cube in the middle. Use the Red(X) Green(Y) or Blue(Z) arrow to move the cube. Around. 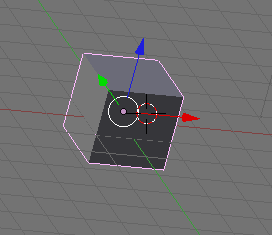 Pressing Alt and the leftmouse button (windows), I can rotate and look around this cube. And with my mousewheel, I can zoom in and out. In the View I can set the view to Perspective.. Something I prefer. 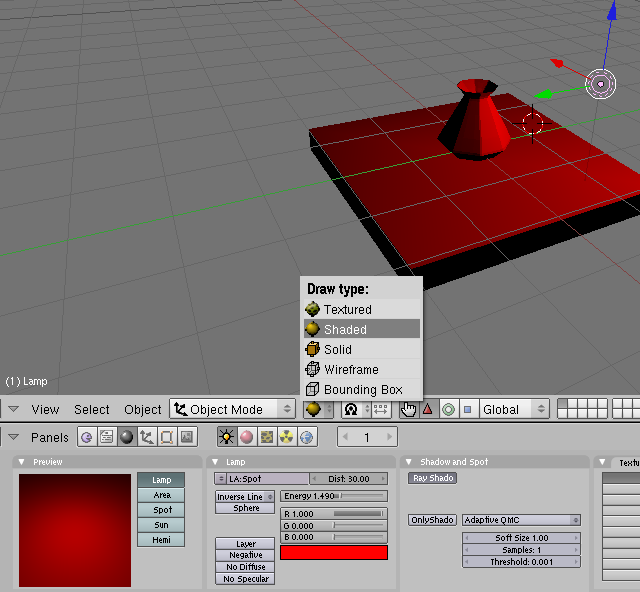 A lot of the options in blender are connected to your keyboard, lets start with the basic ones. 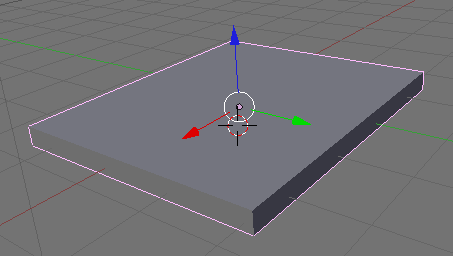 If you press the s-Key you can scale the model; press escape to exit. control-z to undo the last move. Left-click to acknoledge the last change. Try scaling the model on the X, Y and Z-axe. 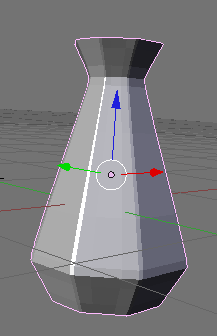 If you press the 'r'-Key you can rotate the model. 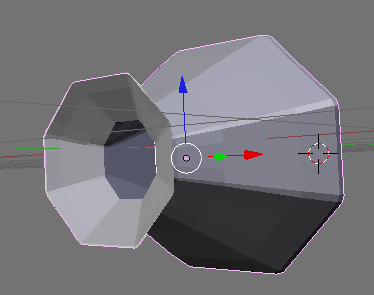 Try Rotating the model on the X, Y and Z-axe. Next I delete my cube with the 'Delete' button. 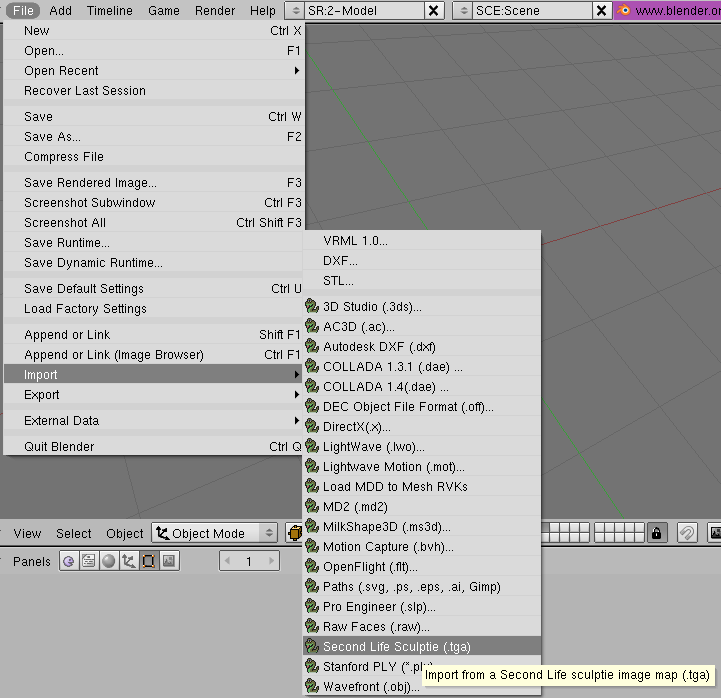 And if everything is proper installed, I can load my sculpty using the sculpty import plugin from Domino Marama. Next I'm going to split the viewing area.. into different screens. I right-click on the black-line to split the screen. 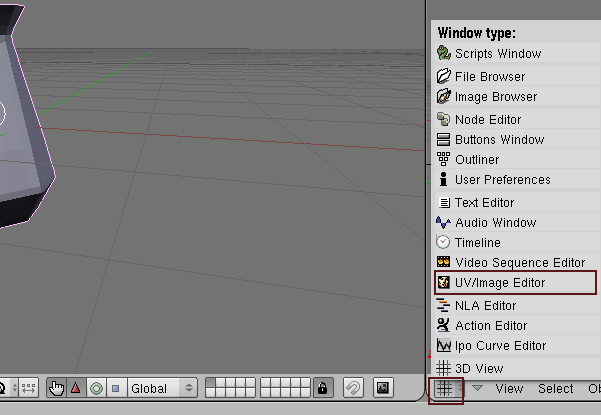 When I manage to split my screen, I select 'UV/Image' Editor in my right Window. 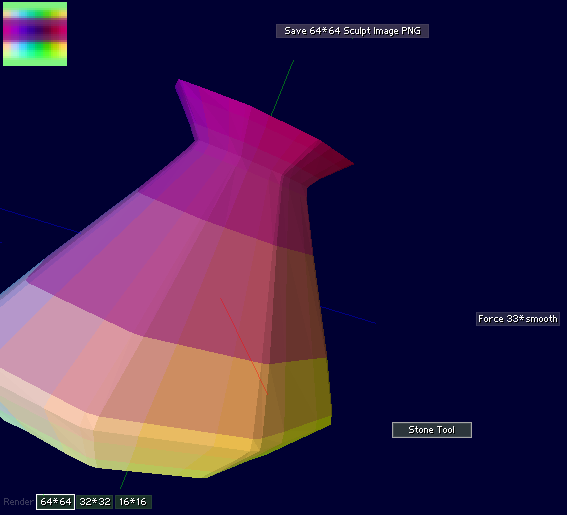 Make sure your 3D model (the vase here) is selected. 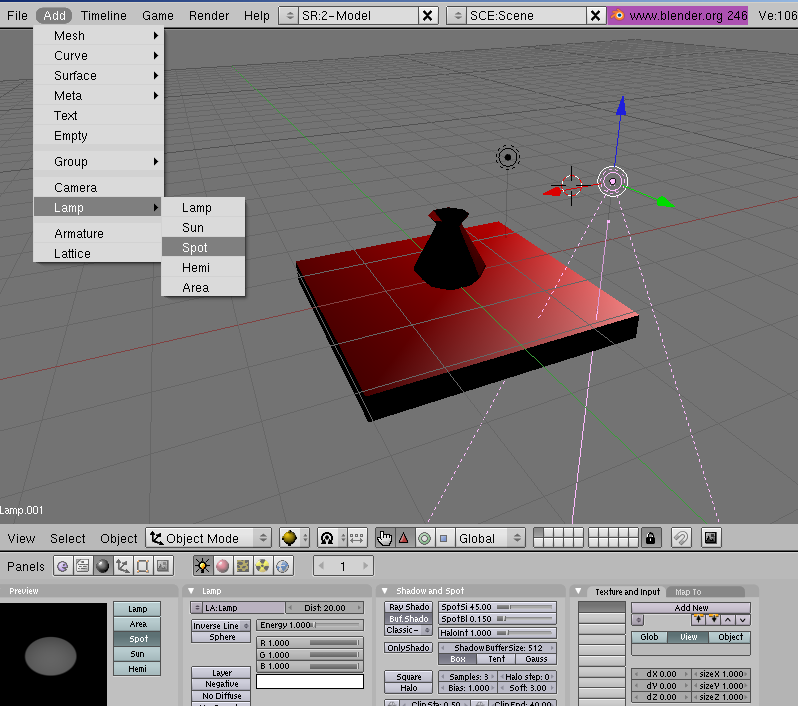 Rightclick an object to select it in blender. Next I select the Edit Mode. When I press the 'a' button, I select all my points... They light-up to yellow, (pressing the 'a' key can select or deselect all the points of this model) Make sure they are selected. 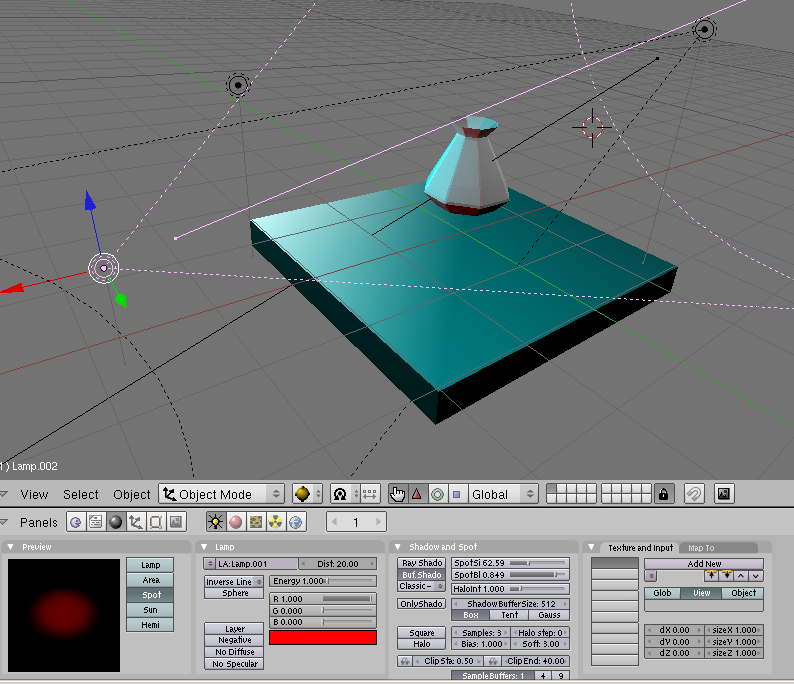 Next In the UV/Image Editor I create a new image. For me a 512x512 image is fine..
After I created the image, I switch to texturepaint. 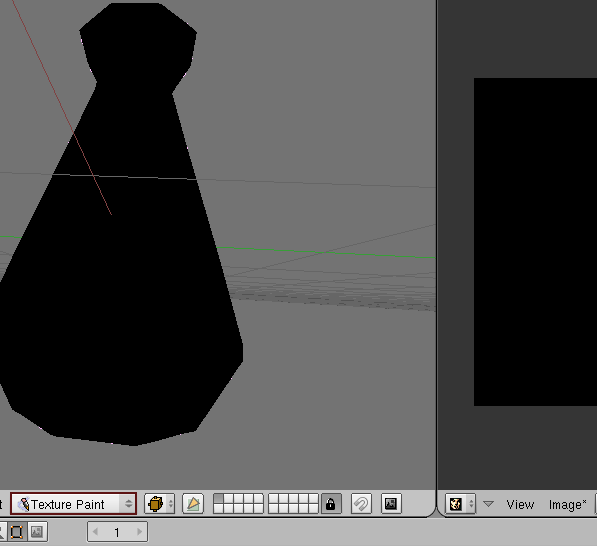 I can directly draw onto the 3D model now on the left. 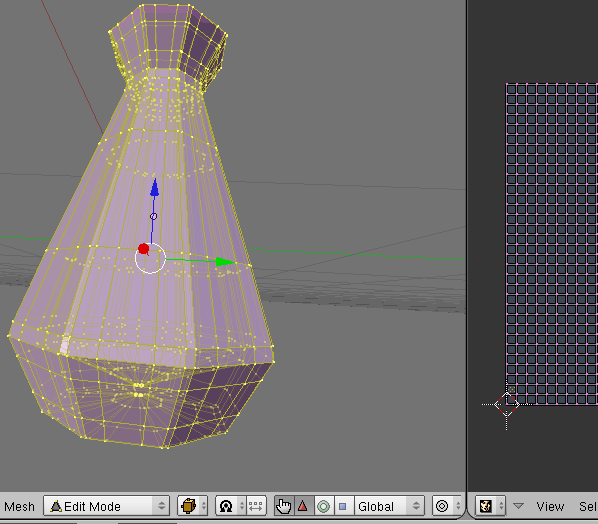 When I enable Texture Painting in the UV/Image I can draw on my texture on the right as well. 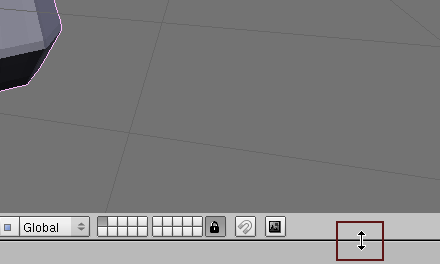 In the paint tab; I can change my brush/color and the different drawing options. Change the brush opacity, soften/smear etc. 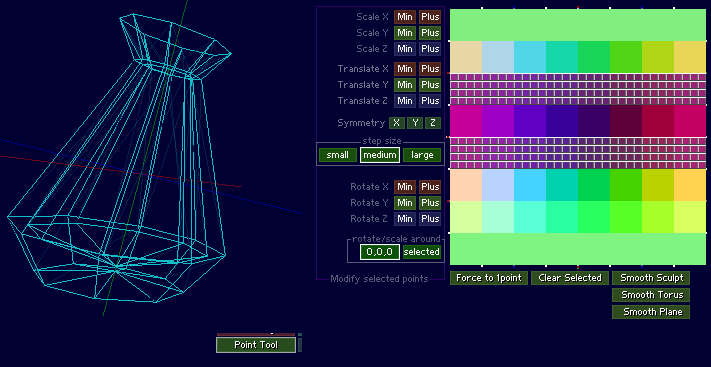 Setting the Drawtype view to Textured shows my model better. I Play around a bit, with the drawing, and save my texture I created. I start with a new file again, File -> New. Erase all. 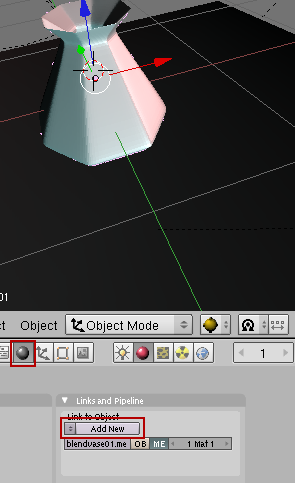 After that I want to select the light.. Thats the round icon on the right. 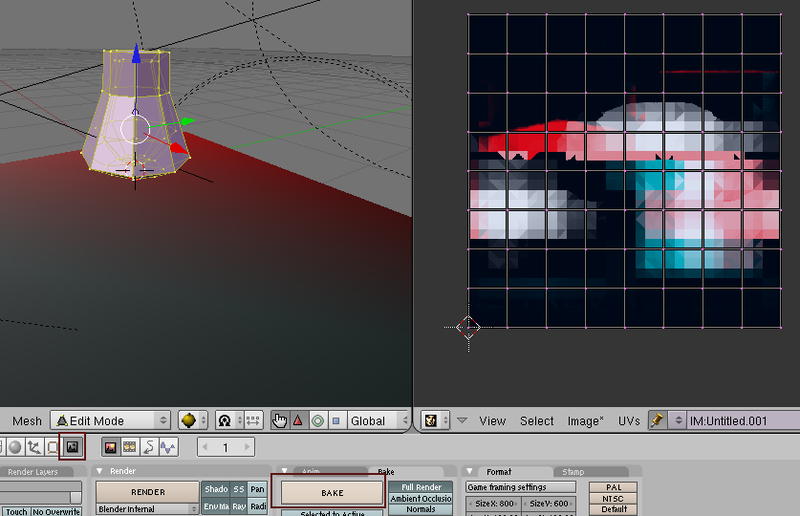 Setting the view to 'shaded' shows the colors.. in the bottom Panel I can change the lightning all kinds of ways. Next I add 2 more spot lights. 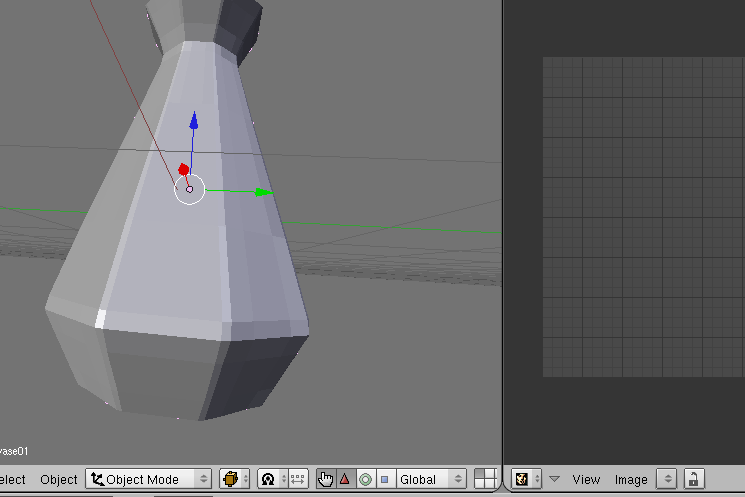 I rotate the lights incase, using the 'r' button for rotate, then press 'x' 'y' or 'z' next to rotate the spot on that axe. 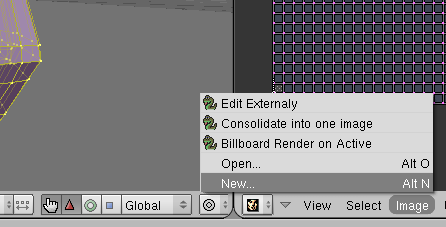 In the shading panel, I can change the light in all kinds of ways, the hotspot, type falloff the colors of the light and can choose between Ray-traced shadows (better?!) or like the Buffered shadows. 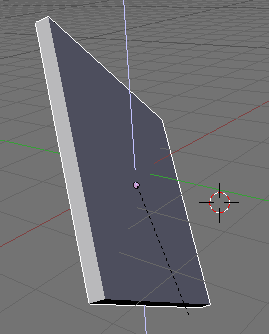 Next I select my sculpty, and split the screens. 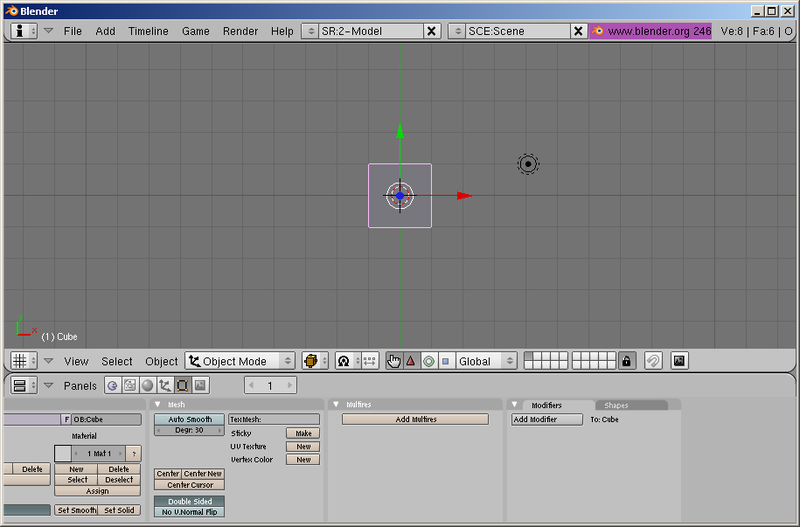 On the right part of the screen I select the UV/Image editor. 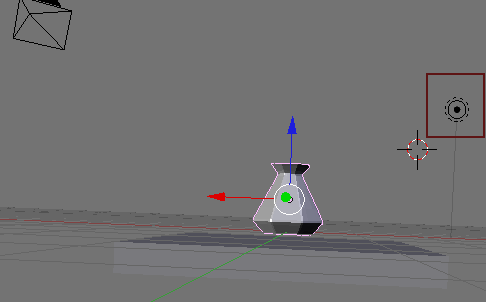 In this Scene Panel is this Bake button I want to use! But if I press the bake button, I just get this error. 'No Image found to bake to. 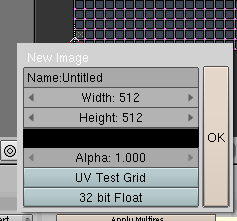 Next I go back to the Scene panel, make sure you got an new (black) image selected at the UV screen, incase no image there, Select Image new, and create a new (like 512x512) black image.. then try pressing the bake button. 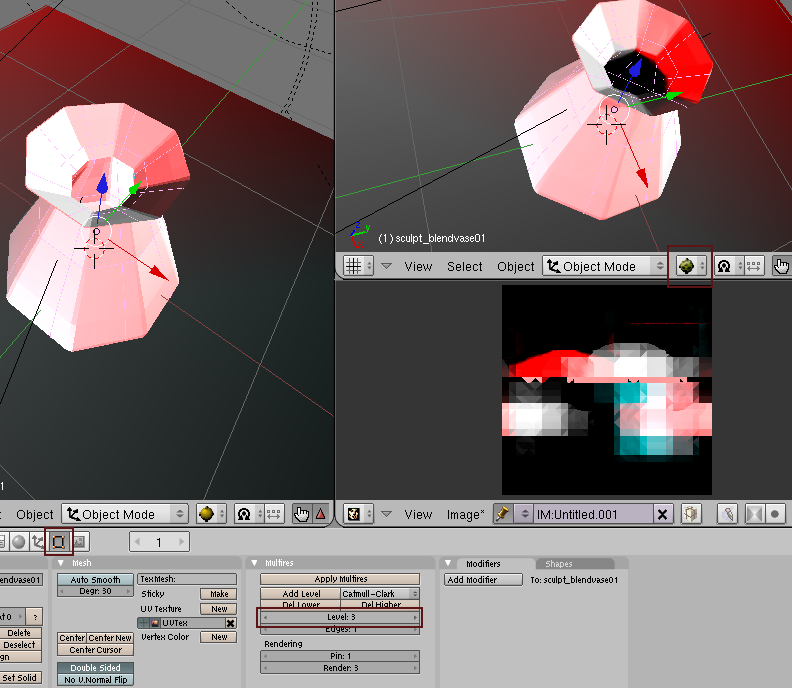 I split my screen one more time, and show there my 3D model textured, while my model on the left shows as 'shaded'. Nice for reference. 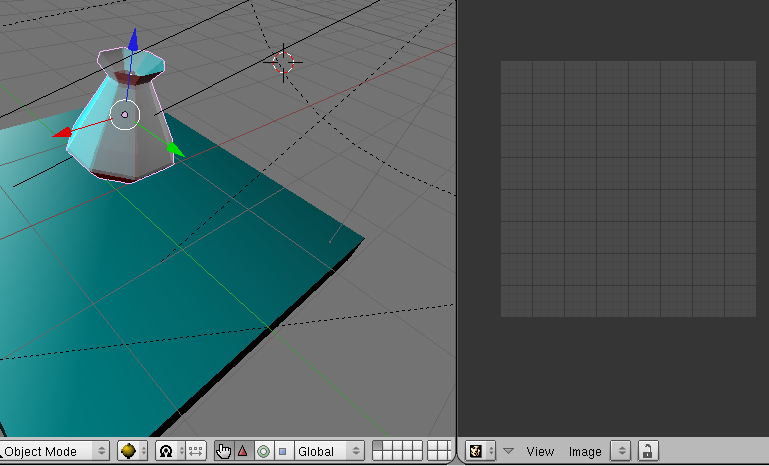 When Add one or 2 more levels in Multilevel, my 3D model gets higher detailed. But when I bake again it will take more time to render. 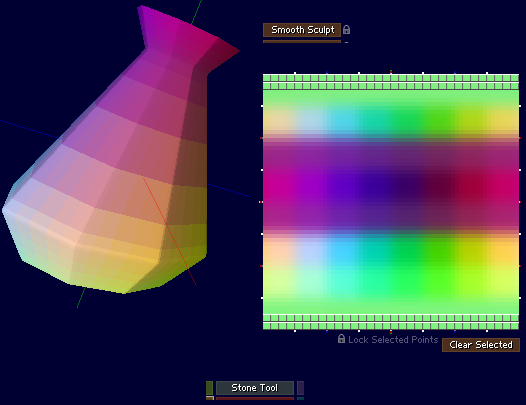 Remember to select the model (the sculpty vase) again, before you want to rebake the texture. I can add a material for my vase. 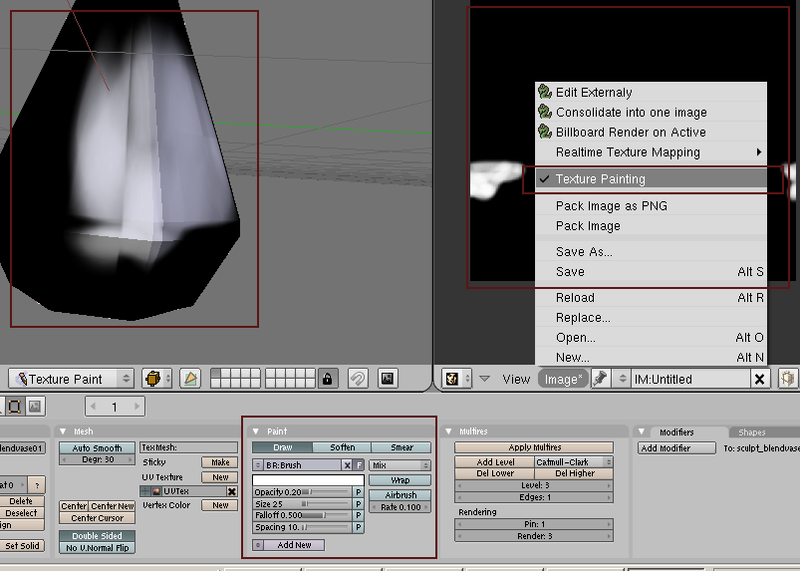 In the shader part I can do all kinds of wierd material stuff, like the light reflection of the model. Actually here the random playing really starts. 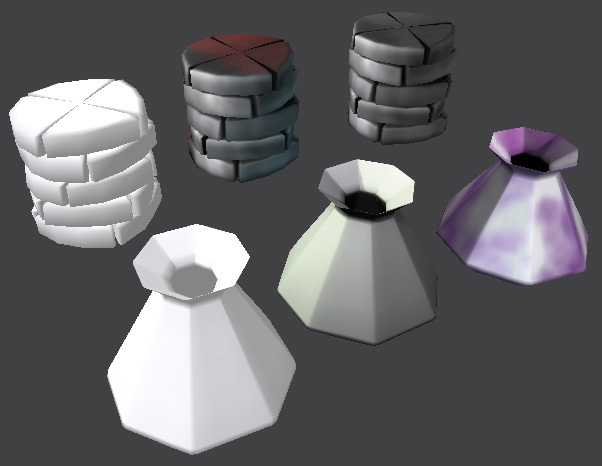 Use your own textures, or play around with the procedural ones. 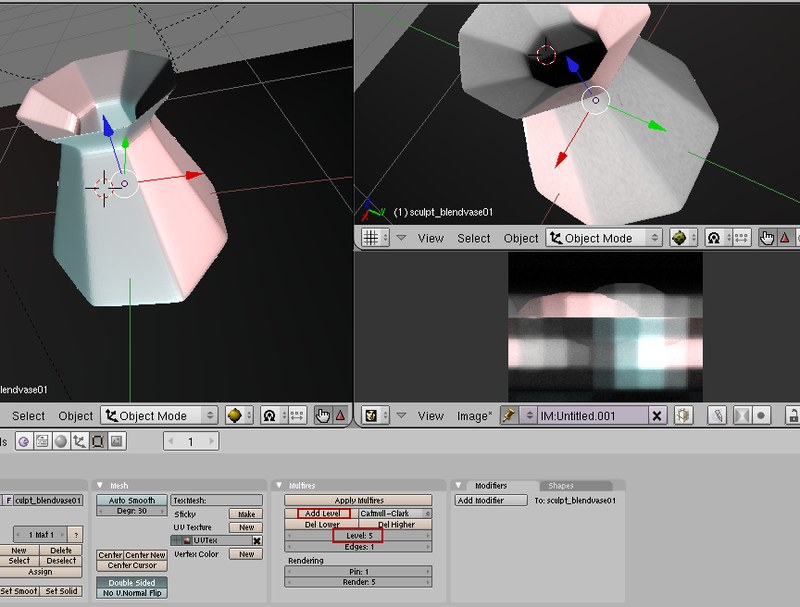 Change the ligths again, select the 3D model again and rebake the texture. Here some first test in SecondLife; on the beta-grid. A default sculpty on the left, and some with the baked textures created with blender. 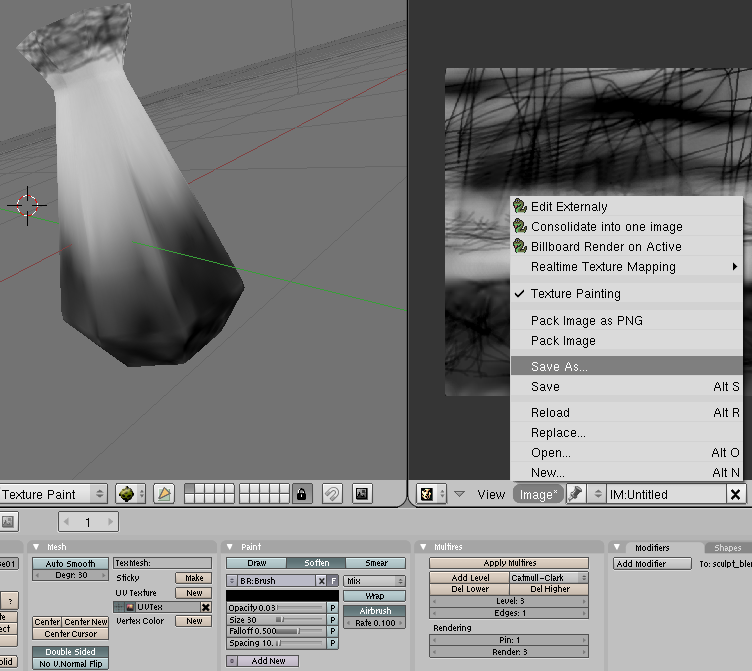 And you can mix/finetune the baked textures a bit in photoshop or the gimp as well. 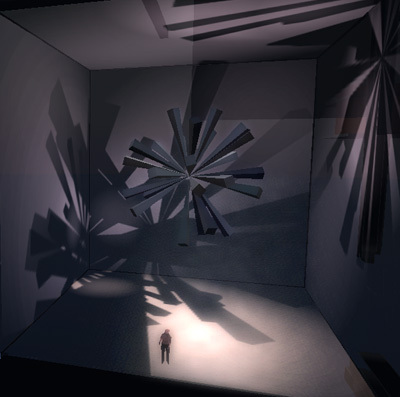 the baked shadows on the walls are created in blender.